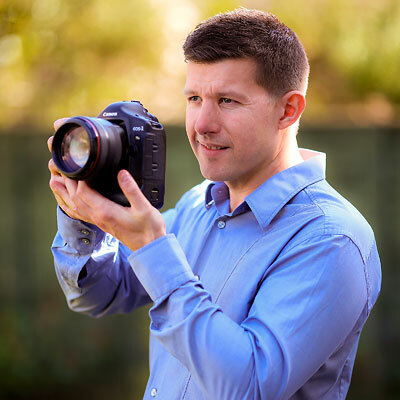 When I started wedding photography about 10 years ago I was working in full time employment. During this time a friend in work asked if I could photograph his daughter’s wedding because I had a “good” camera. From this first wedding I had the bug and realized this could be something very special for me. I love photography, the enjoyment and fun of weddings and of course getting out meeting new people. So westphotography was born and it has become my full time profession. I have photographed hundreds of weddings and as a result have gained a vast amount of experience in all seasons and locations. From manor houses to marquees, Bristol or Las Vegas. Every wedding is different and requires dedication and planning to capture the best of your special day. If you have had a good look around my website then hopefully you can see that I am relaxed and easy going. This reflects in my wedding photography as being made to stand in formal “line ups” for hours on end is not the way I work. My motto is – have fun, enjoy your wedding and you will have an amazing day with pictures to match. Most importantly I love what I do and hopefully this comes across in the images.